Do you enjoy giving thoughtful gifts at Christmas time? It’s like snapping a puzzle piece into place, isn’t it? There’s a sense of joy when everything comes together. But for some of us, gathering gift ideas isn’t quite so fluid. It takes a mountain of brain cells building on each other and then a trek up that virtual mountain to generate an idea–and even then we somehow miss the mark of the “perfect” gift. Then again, Jesus is always the perfect gift, isn’t He? I’ve put together a helpful list of 15 Christmas gift ideas for the Christ-lover in your life. Perhaps these will help those who select solutions with ease and the others of us, too. 😉 All point toward the Perfect Gift of Jesus Christ. Some links may be affiliate links, meaning, at no additional cost to you, I may receive compensation if you click through and make a purchase. I snapped the above picture of our nativity scene. It sits on the piano right now. But years ago we propped it on a table where little hands loved to play with it. What joy in remembering those times. What joy in celebrating Jesus with the help of a nativity scene. Here are a few sets, and a couple other Christmas-time helps, to celebrate and enjoy Jesus this year. The Chronological Life Application Study Bible was a birthday gift this year. And I LOVE it. It’s the first time I’ve walked through the Bible chronologically. It’s a bit different, but I found it helpful. This version of the NLT has fantastic notes and insight as well. I use this tool on a regular basis. 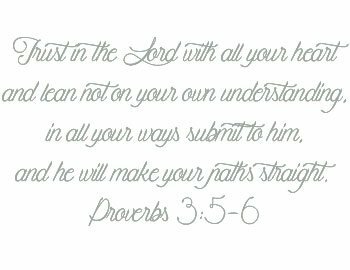 It helps Bible readers dig further into the Greek and Hebrew meaning of words, opening understanding and offering “a-ha’s” for our faith. Did you catch my review of this Bible here? It’s a keeper for young ones. Also, we have our winners of The Beginner’s Bible giveaway. Congratulations Joanne Viola and Cheryl Barker! Within the week, I’ll be posting a review of yet another new Bible you’ll want to consider. 😉 Right now it’s a mystery, but make certain to stay “in the know” automatically by subscribing to KristiWoods.net, if you haven’t already. Consider these two options, above and below, for the camo lovers in your life. And if you’re not into camo, other options await. This was one of my favorite non-fiction reads from 2018. If misidentity roars in your life or someone you love, grab a copy of this book. It’s a goodie. To learn more about it, see my review here. Earlier this year, several local ladies and I gathered on Sunday nights to fight and overcome those feelings we harbor when feeling less than, left out, and lonely. We used Univited by Lysa TerKeurst. Call it well worth the read! interested in checking it out as well. 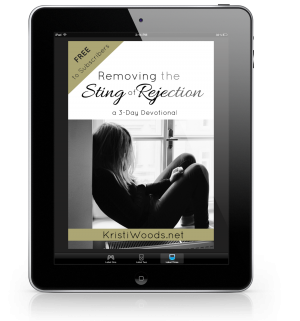 Don’t forget to grab your FREE copy HERE of Removing the Sting of Rejection. 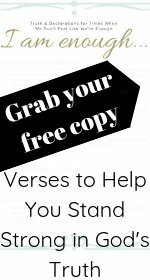 This 3-day devotional I wrote leans on God’s truth to help set our hearts on freedom from rejection. Isn’t it pretty? Something about that gold and the Christmas season. Oh, and then there’s donning the home with the Word of God. Grabs my heart every time. Vinyl’s coming back, y’all! Couldn’t believe my eyes when scouring the store at Cracker Barrel recently. I did a double take when Bruno Mars stared back at me from a vinyl jacket–available for sale. Well guess what? For King and Country also drops a new album in time for Christmas…available in vinyl. Fun! The creativity blew.me.away. And it might you as well. So consider this album for the Christ-lovers in your life…or even yourself. And let me know how you like the music, okay? 1. Don’t Miss Next Tuesday’s Post! It’s FULL of FREE gifts for you. Shop for self or others. Whatever you do, don’t miss it. Subscribe to KristiWoods.net here. Busyness shifts our focus off prayer–especially in a busy season and when it comes to the husband. He’s a big boy, he can handle himself. Right? Well…. Oh, all kinds of fun goodies here, Kristi! I’m keeping Amazon hopping these days, limiting my wading through crowded aisles! I am a terrible gift giver. So, Christmas puts a lot of added stress on me. I would much rather find the perfect gift at a random time during the year and give it for no good reason on than to bless the recipient. But your list is so great!! Thanks for sharing the Advent Calendar! Blessings! You have a great list of ideas here! Love those nativity sets. And yes, vinyl records for the last 5 years or so have been growing in popularity. My brother has my mom’s old stereo set and has an extensive vintage collection, and now I see my son’s college friends prefer vinyl, too. Lots of new releases on it now! Gift-giving isn’t something I feel particularly good at, soI’m always watching for that really good idea list. You have some ideas that provoke me to think a little deeper about what my loved ones might want. Thanks for that. It’s a service! Glad to help, Natalie, because honestly, gift giving proves a little difficult for me as well. Merry Christmas!